When Anu and Enlil voted in favor of the genetic engineering of earthborn hominids, it was with the aim of creating slave workers, lulus. In the mind of Enlil, there was only one purpose for the lulus: to toil in place of the Nibirians, first in the gold mines and then in Sumer as servants. Enlil had one of the most extreme Anunnaki profiles: violent and prone to anger, indignant, jealous, and highly self-centered. He had minimal scientific or technological skills and little reflective capacity. For Enki--the chief scientist who had, in contrast, a powerful mind and astounding reflective capacities--it was immediately evident that such workers had to be intelligent enough to understand their tasks and that they should have the capacity to proliferate so that they were in good supply. For Ninmah too it did not make sense to keep cloning males (a task demanding huge attention, effort, and time) when nature has solved the problem of both durability and multiplication of a species by sexual reproduction. But, as I understand it from studying the texts, this seems to be only the baseline of Enki’s and Ninmah’s multilayered thinking: the official one in accordance with the assembly’s decision to fashion workers but nevertheless anticipating future needs. Yet there’s much more to Ninmah’s and Enki’s overall purpose, because, if they had only this aim in mind, they would have given the ability to procreate to the earthlings, but not such an open and deep intelligence that they could entrust their science to them. This is why they kept perfecting the earthlings until Adamu and Tiamat were endowed with self-awareness and the capacity to procreate. What is interesting is that Adamu and Tiamat, as well as the first batch of male clones of Adamu and female clones of Tiamat, had sexual organs, but they were not able to procreate until Ningishzidda performed the genetic adjustments when they were already adult. Unbeknownst to Enlil, and with the connivance of Sud [Ninmah], Enki contrived to give the creature one more genetic twist: granting to the hybrid beings . . . the ability to have offspring, the sexual “Knowing” for having children. The event is echoed in the biblical tale of Adam and Eve in the Garden of Eden, and although the original Sumerian text of the tale has not yet been found, a number of Sumerian depictions of the event were indeed discovered. They show different aspects of the tale: the Tree of Life; the offering of the forbidden fruit; the angry encounter that ensued between the “Lord God” and the “Serpent.” Yet another shows Eve girdled in a garment around her loins while Adam is still naked, another detail related in the Book. The completely negative symbolism of the snake in the traditional [“sin and Fall”] interpretations is incompatible with snake symbolism in the ancient Near East and in Israel during the monarchy. Most scholars agree that this negative snake symbolism was introduced in the second or third century BCE. The serpent as the Knower is the emblem of Enki and of two of his sons, Ningishzidda and Marduk. The Sumerian representations of Ningishzidda show already what will become his Greek emblem as Hermes’ caduceus (we will study these symbols in depth farther on). As for Marduk, he is called by Enlil “the great Serpent” in the second Pyramid War. With the genetic upgrading that took place in Edin we learn that we humans have in us the DNA of both Enki and Ninmah as well as Ningishzidda/Hermes. 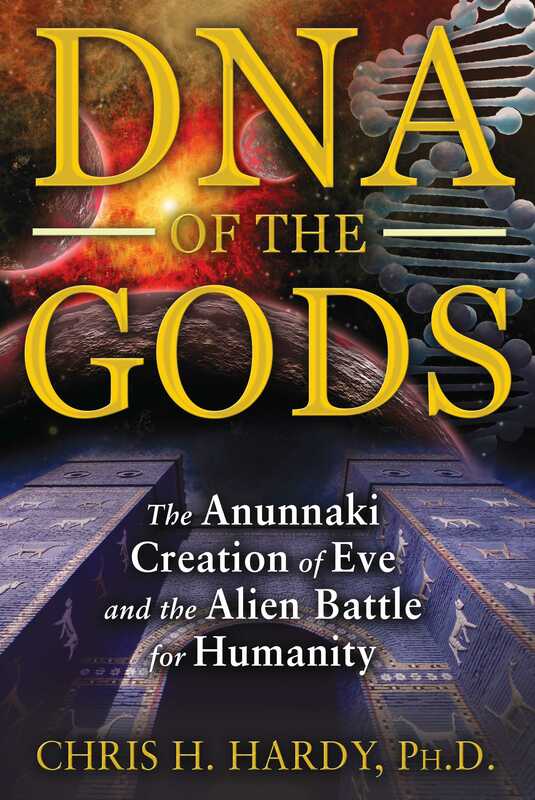 Could it be that, in choosing the picture of the double-helix of the DNA as an emblem for himself and Ningishzidda, Enki was signaling to all later generations of the Adamic humanity from which gods precisely we had inherited our own DNA?